Dynamics GP allows you to get up and running with a robust solution at a very affordable price. The Starter Pack includes core financials and distribution features, enabling customers to get control and insight over your finances, pay and manage employees, and buy and sell goods and services. For many organizations, the Starter Pack is all you need to run your business. And at a base price of $5,000 that includes 3 user licenses, it can be a very appealing solution for companies looking for the next step after QuickBooks. Crestwood has been living and breathing Dynamics GP for almost 20 years. Our team is savvy and sharp, and includes the agile experts that will help you get up and running with GP. Need GP to talk to other systems? No problem, our in-house team of developers, integrators, and customizers is at your service. And since we’ve done it all before, you get the benefit of fast answers to common issues. See how we’ve extended Dynamics GP to serve our existing clients, and let us know how we can help you. Find out if GP is right for your business. Or are you thinking about upgrading Dynamics GP? Here’s a comprehensive list of all the new features released in current versions from 2013 to 2018 R2. Download a copy of the PDF. 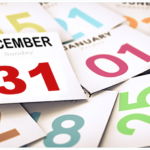 Missed our session on closing the year in Dynamics GP? Need to review a section? Either way, we’ve got you covered. Here is the recording of our year-end webinar, and we’ve even broken out the sections for you with time stamps in the description. Don’t forget to download the manual to go along – Download our free 2018 manual here!